We officially opened Tuesday, April 5th, 2016! 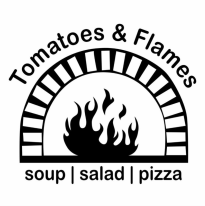 We are serving a Neapolitan style pizza that is cooked in our 800 degrees wood fired oven! We also be serve, soups and salads to accommodate the whole family. Our dough is made 100% from scratch and we use the best quality veggies, cheeses, and meats prepared fresh daily which gives each bite it's bold flavor. 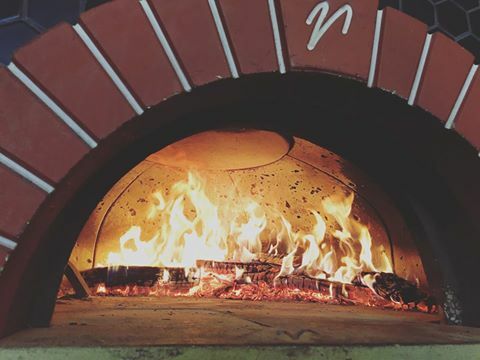 Our wood fired oven gets up to 800 degrees Fahrenheit and can cook your pizza in 90 seconds! All of our pizzas are made Neapolitan Style, and are 12 inches in size. We promise, it is delicious! Check in with us and see what specials we came up with this week! 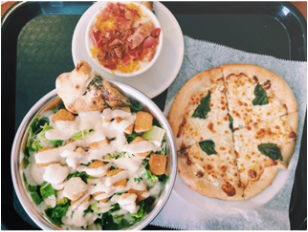 New soups, salads, and pizza!